Here’s what’s up in the world of TV for Tuesday, August 1. All times are Eastern. 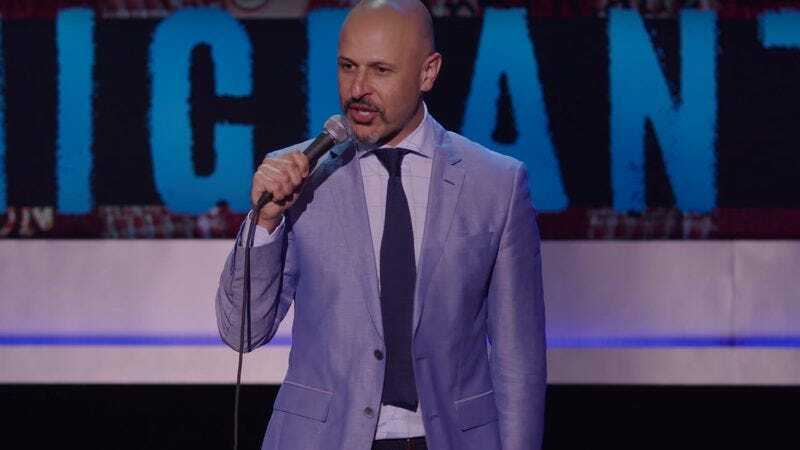 Maz Jobrani: Immigrant (Netflix): He survived fleeing the Iranian Revolution when he was 6. Something tells us that at the time he wasn’t thinking, “This will make great material for my eventual best-selling book I’m Not A Terrorist, But I’ve Played One On TV, and also soon thereafter a Netflix comedy special called Immigrant.” He couldn’t have thought that, because Netflix didn’t yet exist. Nonetheless, the co-star of CBS’ Superior Donuts is now doing just that, with a new hourlong set focusing on the overlap of trying to perform everyday tasks of parenting and other responsibilities while living in the highly charged political atmosphere of Trump’s America.